Salman Khan’s recently released film ‘Tubelight’ tanked at the box office. The actor is reportedly paying the distributors a sum of 65 Cr to help them recover from the monetary losses they have incurred because of the war drama not performing well. 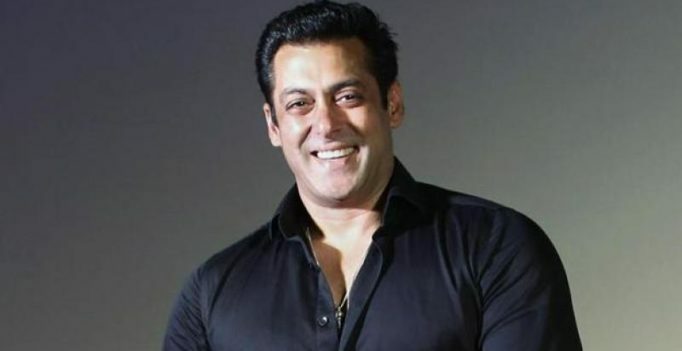 Mumbai: Superstar Salman Khan has never been a favourite at award shows but he has no complains as he said he prefers performing at such ceremonies over receiving an honour. “I have never won an award. I have got some supporting actor award. I like rewards more than awards,” Salman told reporters here at the International Indian Film Academy (IIFA) awards press conference last evening. The actor recalled a time when a magazine editor had called him to attend an award show as he was nominated for ‘Maine Pyar Kiya’. The actor joked that even though he was not the best dancer, organisers are always ready to pay him a fat cheque. “Even after such bad performances, they (organisers) are paying me for it. I am more than happy doing it. It’s like I am getting money for standing there,” he said. The ‘Dabangg’ actor, who is set to perform at IIFA 2017, said it will turn out to be an incredible and fabulous experience this time. Salman also took the opportunity to wish his former girlfriend, actress Katrina Kaif, who was also present during the event. The actress will celebrate her 34th birthday on July 16. “I don’t remember the dates (of the IIFA award show) the only date I remember is July 16 and that is Katrina Kaif’s birthday. Let us sing for her right now… ‘Happy birthday to Katrina’. The best thing is to wish someone like this,” Salman said as he hugged Katrina. Shahid Kapoor, Alia Bhatt, Varun Dhawan, Kriti Sanon, Sushant Singh Rajput, Anupam Kher, Nawazuddin Siddiqui and cricketer-singer Dwayne Bravo were also in attendance at the press meet. The Bollywood stars together shook a leg as Bravo sang his popular track ‘Champion’. “I am honoured and privileged to be here on this same stage with all these stars. India is home to me. I love Indian films and culture. Bollywood and cricket go hand in hand,” Bravo said. Shahid said he was excited to be a part of the IIFA extravaganza and perform at the iconic MetLife stadium. “It is a huge stadium and we hope the rain gods are on our side. We all are battling jet-lag and rehearsing for the award show so that we can put a nice night for you all,” Shahid said. Sushant, who was a background dancer with choreographer Shiamak Davar before he became an actor, will be performing on retro hits at the ceremony on Saturday. Veteran actor Anupam Kher, who has been associated with IIFA for years now, said it has given Indian cinema a platform globally. The press conference was also attended by Sabbas Joseph, Wizcraft International Entertainment, the creators and producers of IIFA awards. It was followed by the unveiling of a sneak peak of short film ‘Carbon’, which has been backed by Jacky Bhagnani and stars Nawazuddin Siddiqui.